Below is our LatinoFoodie version of the recipe. 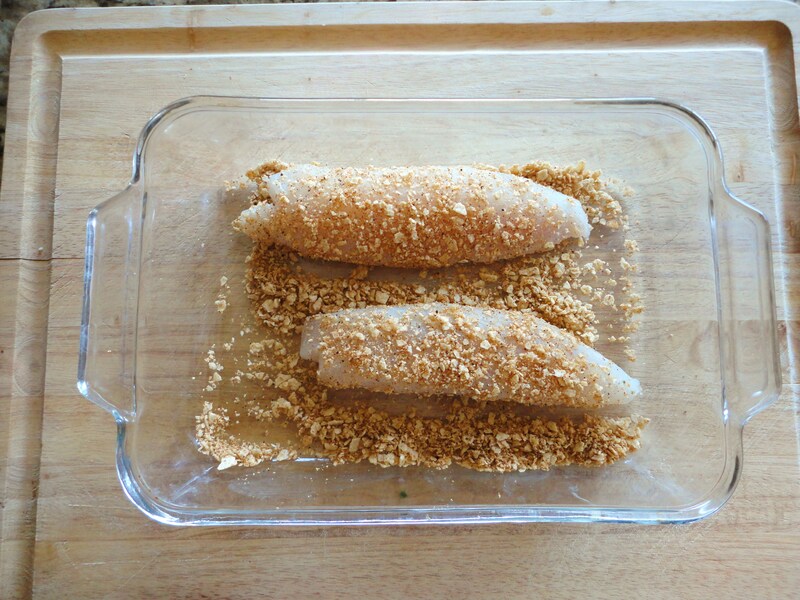 It’s a wonderful way to incorporate more white fish into your family’s diet. The well-seasoned corn tortilla chip crumble delivers a nice crunch. 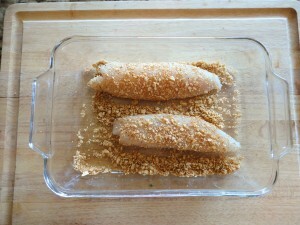 Make sure to bake the fish until you see a warm, golden brown coating. 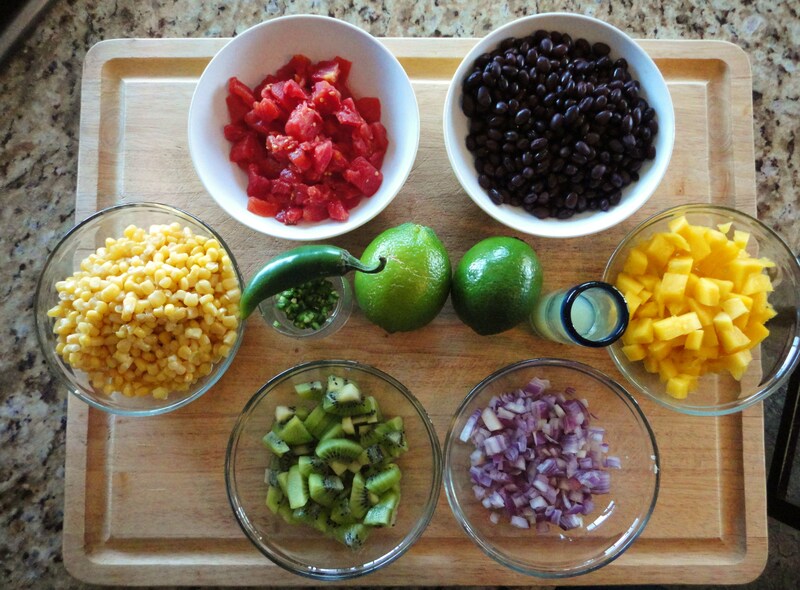 Serve the tilapia on a Black Bean and Corn Salad like we made with a sweet and spicy twist. The diced kiwis and mangoes added a nice freshness to the salad. The minced serrano chili added enough heat to make the salad pop. We are definitely making this salad again in our kitchen. Everything in it was yummy and good for our tummies and our waistlines. We especially love it because you can get creative with various seasonal fruits and vegetables to make it your very own. Preheat oven to 400 °F. Line your baking sheet/shallow baking dish with foil. In a shallow dish toss the tortilla chip crumbs, Ancho powder, and cumin. Salt and pepper to taste. 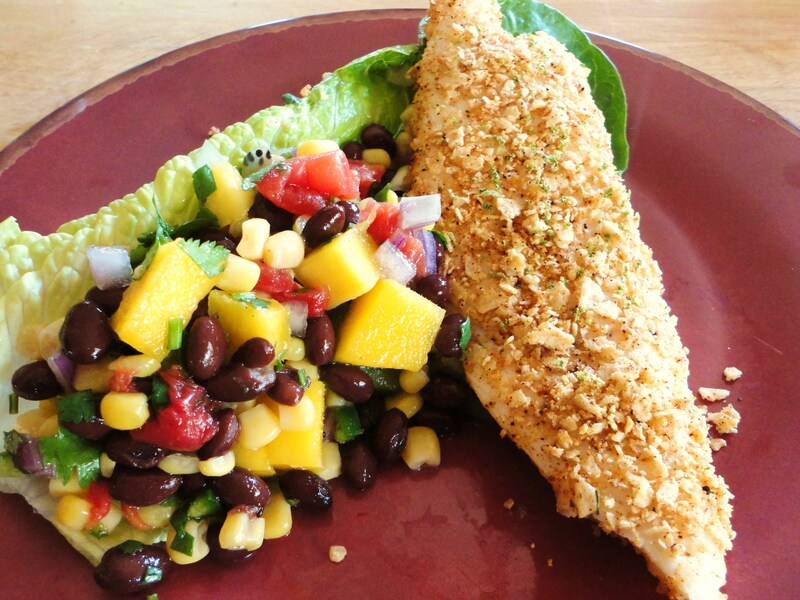 Use half the lime juice to pour over the tilapia. Gently bread each side of the fillets with the tortilla mixture and place on the baking sheet. Sprinkle the lime zest over each fillet. Mix all the salad components together in a large mixing bowl. Slowly pour in the lime vinaigrette and toss.